Here are my two latest Lucy Boston Patchwork of the Crosses blocks. The first one is made from Edyta Sitar's (Laundry Basket Quilts) new Jelly Bean line. The middle of the second block is fussy cut from the Mill Girls line by Judie Rothermel. The other pieces are from Judie Rothermel's Old Sturbridge Village collection. I'm using 1" honeycombs and am English Paper Piecing my blocks. I hope all of you here in the U.S. are enjoying a wonderful Memorial Day weekend. The weather is beautiful, and many people here are enjoying a 3 day weekend to start off their summer. I've been doing a little bit of stitching this past week. I've added another border to my Rotherfield Greys quilt. You can find the pattern for this quilt and many other wonderful quilts in Di Ford's book, Primarily Quilts. I'm still making six pointed stars, and I've made a few more Lucy Boston, Patchwork of the Crosses blocks (book by Linda Franz). I am sewing the stars along with Temecula Quilt Blog fussy cut Fridays. The red stripe I used in the stars and the outside round of Lucy Boston is this older piece from my stash called Sturbridge Village Scarlet by Judie Rothermel for Marcus Fabrics. I believe all of the fabrics in the star and Lucy Boston below are from Jo Morton. 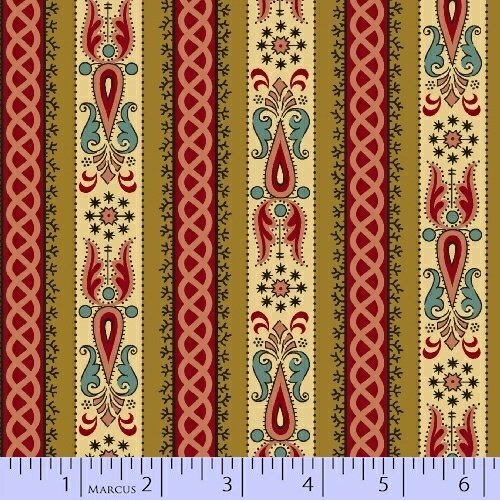 The stripe is Spice Market by Jo Morton for Andover Fabrics. The flowers I used in the center of the Lucy Boston block are Annandale by Jo Morton and are cut from the border print. I appreciate each and every one of you who visit and every comment that you leave. There is a block drive for Quilts of Valor going on over at Kevin the Quilter's blog until June 1, 2014. If you want to read more about the Quilts of Valor Program, you can click the link. The mission of the Quilts of Valor Foundation is to cover our service members and veterans touched by war with comforting and healing Quilts of Valor. Kevin is asking that we send in blocks made from the pattern he designed. As you can see I got a bit carried away and made enough blocks for a quilt top. Kevin's block is easy to make, but I think it makes a striking quilt. I used fabrics from my stash that are red, white, blue and gold that read as solids. The complete directions are found in Kevin's blog post. Here are my fabrics after cutting. I placed the big rectangles with the 2 1/2" strips along side so that I wouldn't make a mistake and make the cut in the wrong direction. I randomly chose a place to cut the rectangle and then sewed the block back together. Here are just a few blocks. And, before long I had made quite a few. Thanks Kevin for a fun pattern and an easy way to participate in the Quilts of Valor program. I hope you will go over and visit Kevin's blog and make a few blocks to send to him for the block drive. 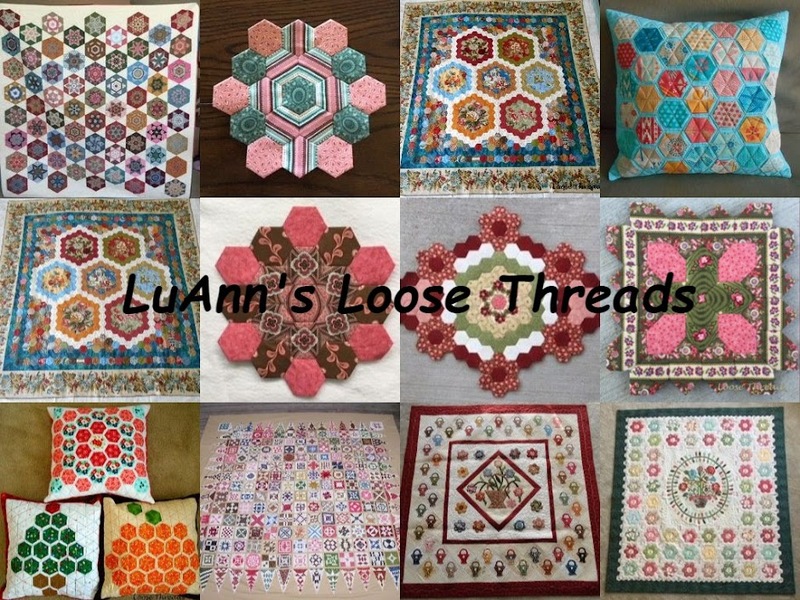 Visit Judy's blog (Patchwork Times) to see what others have on their Design Walls today. I'm still having fun making six pointed stars. Here are those that I've done so far. I'm beginning to think about how I'm going to set these stars. Any ideas? This star is made from Amelia by Jo Morton for Andover fabrics. Judie Rothermel's 25th Anniversary for Marcus Fabrics. M is for Mystery by Faye Burgos by Marcus. Carrie's Madders C1870 by Carrie Quinn for Blue Hill Fabrics. My fussy cutting tutorial is here on my blog.